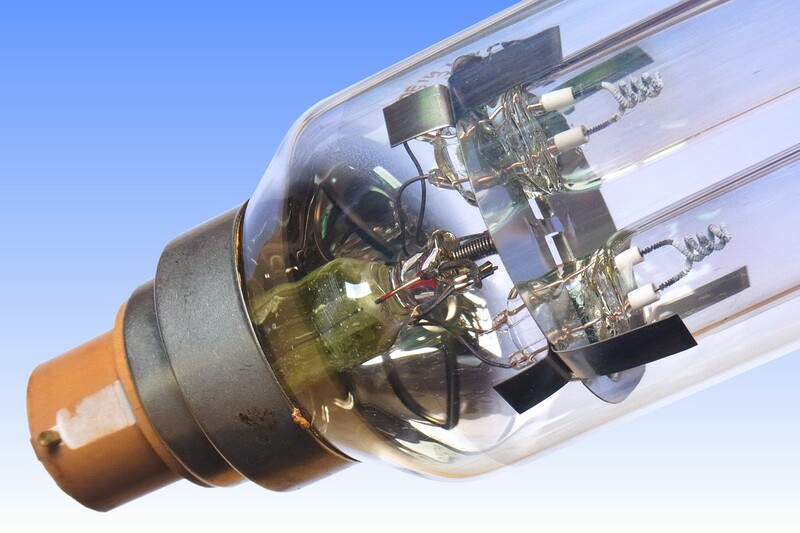 The tin oxide coated SOX lamp had only been on the market for four years before it was superseded by an enhanced range of lamps having reflective coatings substantially based on indium oxide. The new lamps were first sold during 1968 and owing to the greater thermal insulation efficiency afforded by the superior film, lamp wattage was reduced again to deliver a new range having greater efficacy but similar luminous flux. The new line of lamps was known as re-rated SOX for the few years following their introduction and they were offered in 35W, 55W, 90W and 135W sizes. The new coating, another development of the Philips laboratories, is substantially based on indium oxide but still contains a percentage of tin. Tin improves the mobility of electrons in the semiconducting film, which not only makes it a better electrical conductor it also enhances the infra-red reflectivity of the film. The tin-doped indium oxide coating introduced at this time is almost identical to the material still employed in modern standard SOX lamps. Indium oxide coated lamps are easy to distinguish from the earlier tin-based films by the colour of light reflections seen in the coating. 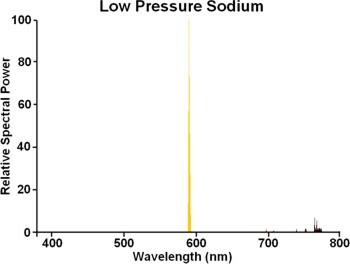 Tin lamps show a characteristic yellow/orange colour reflection, whereas the 0.32 micron indium films imparts a greenish tinge to reflected light colour. 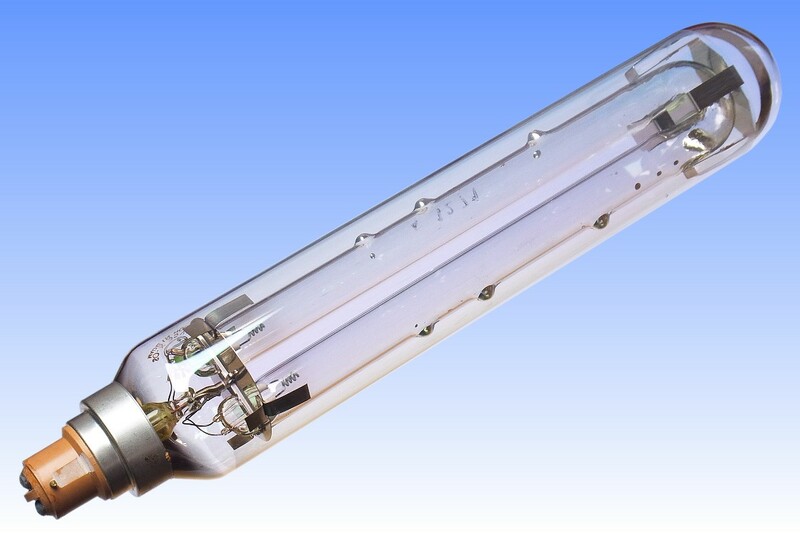 This lamp employs sodium retention dimples in the discharge tube in an effort to maintain good sodium distribution, and the cap is of the more modern Alkyde polymer style with a nickel plated collar. The top spring at the U-bend end has been much simplified in this design, and eliminates the sharp corners on the earlier top support which had led to breakage of the outer bulb before. 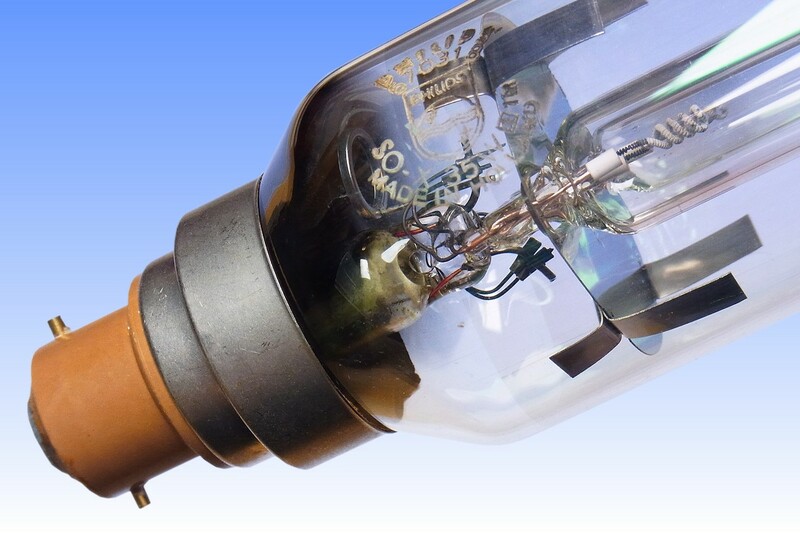 References: 1) Philips UK Data Sheet PL8260/3, Low Pressure Sodium Lamps, September 1969.